China will allow U.S. imports of beef no later than July 16, and the United States will issue a proposed rule to allow Chinese cooked poultry to enter U.S. markets. The United States also signaled that it was eager to export more liquefied natural gas (LNG), saying China could negotiate any type of contract, including long-term contracts, with U.S. suppliers. China was the world’s second largest consumer (7.7 million tonnes) and importer (812,000 tonnes) of beef in 2016, behind the United States. China has purchased negligible amounts of U.S. beef products since imposing a ban in 2003 over concerns about "mad cow" disease. Asia remains the top market for U.S. beef shipments, selling $3.77 billion worth of beef cuts to Asia in 2016, out of U.S. exporters’ total $6.34 billion. Japan ($1.51 billion) and South Korea ($1.06 billion) were the top buyers of U.S. beef exports. Brazil was China’s top beef supplier in 2016, shipping $765.3 million dollars of frozen beef. Australia was the top fresh beef supplier (valued at $57.11 million). Tyson Foods Inc, Cargill Inc and JBS are among the biggest exporters of U.S. meat. China was the 21st largest market for U.S poultry exports in 2016, purchasing only $33 million out of a total $3.875 billion of U.S. poultry exports. In 2014, the United States exported about $315 million worth of poultry products to China, including chicken feet, or paws, which are popular there. China has banned U.S. poultry imports since the United States suffered its worst-ever outbreak of avian flu in 2015. 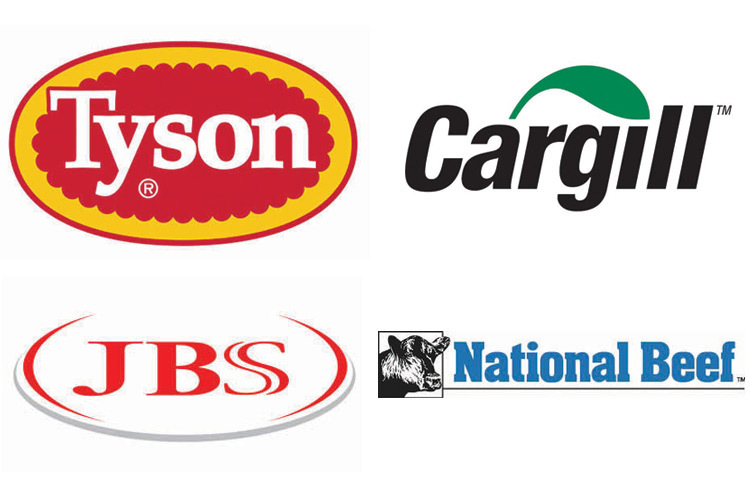 Tyson Foods, Pilgrim’s Pride and Sanderson Farms are the top three U.S. chicken producers. China is the third largest LNG importer, behind Japan and South Korea, bringing in 26.06 million tonnes in 2016. The United States is fast becoming a major LNG exporter, though few of its export cargoes to date have been shipped to China. Shipping data on Thomson Reuters Eikon shows that the first ever U.S. LNG tanker arrived in China in August 2016, followed by another eight cargoes shipped between December and March. The total amount of U.S. LNG that has so far been shipped to China is just over 0.6 million tonnes, or 1.4 billion cubic meters. That compares to 1.5-2 billion cubic meters coming to China from Australia every month. Most of China’s demand needs are already met by long-term supply agreements, although new buyers are expected to emerge in the coming years as the country cuts back use of coal in power generation and manufacturing. Cheniere Energy, which operates the only current operating U.S. LNG export terminal, said it was in talks to start exports to China using long-term contracts. The United States is expected to see its export capacity rise to more than 6 billion cubic feet per day (1.7 billion cubic meters) by the end of 2018.